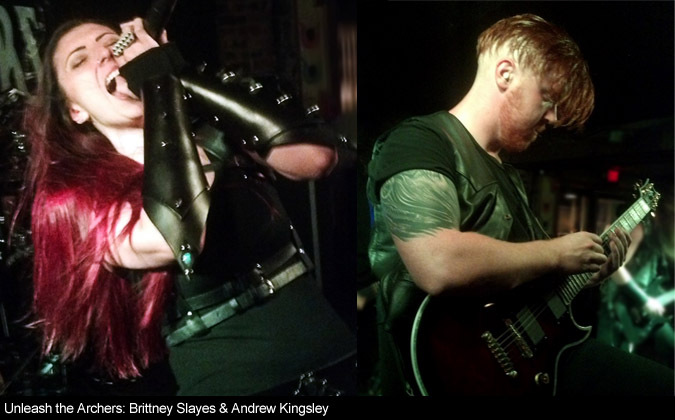 New Concert Report: Eviscera, Unleash the Archers, and Azathoth! On occasion, I'll consider my own preference of metal show venues. I've been in everything from theaters to basements to big stadiums. The Golden Pony is a decent-sized club in Harrisonburg, VA, with two full bars and a professional sound stage with original music shows. Tonight was three metal acts and two and a half hours of headbanging heaviness. Eviscera, Unleash the Archers, and Azathoth were one of those shows where everyone seemed to be having a great time and after each set the bands were willing to mingle about, take pics with fans, share drinks, and personalize all the merch sold. It was a dedicated crowd with the same interest--handbanging and having a blast.